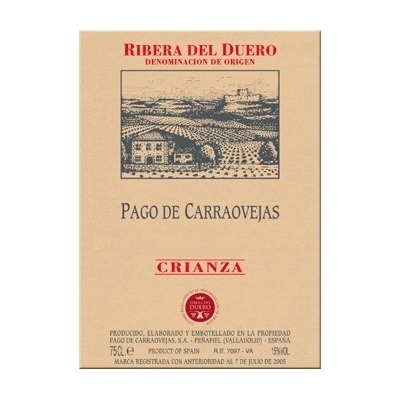 Pago de Carraovejas Crianza Ribera Del Duero is made from Tempranillo (93%), Cabernet Sauvignon (5%) and Merlot (2%). Ideal weather conditions: rainy sprin and dry summer. Havest Sept. 29 - Oct. 22. Low yield and excellent concentration. Aged for 12 months in French and American oak barrels, new and semi-new. Clarified with natural egg white.